A new guide has just been published by Stone Federation Great Britain. Titled "Selecting the Correct Stone" the 16-page illustrated document is full of advice for those planning to include stone in a new project. The guide describes how to make sure the correct stone is chosen in the first place and emphasises the importance of seeing the right type of samples before making a final choice. 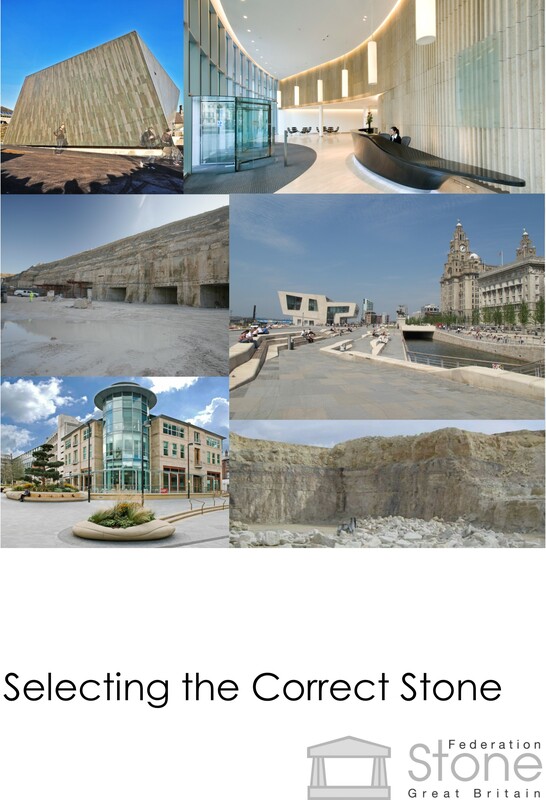 There is a section on the value of visits to quarry, mine and factory during the selection process and the desirability of visiting buildings constructed using the same type of stone or standing in a similar environment. The publication also describes the various technical assessments that have to be undertaken and contains a comprehensive list of relevant British Standards and a code of practice. The Federation tackles head on the ethical and social issues that need to be taken into consideration, particularly those surrounding the working conditions and age of labour used at the point of origin in various parts of the world. Copies will be widely circulated to the main client bodies including architects, surveyors, local authorities, main contractors etc.